Sri Ramakrishna is an ocean in whose heart the universe is nested like an island. Awed by the expanse of infinite depth around, we in the universe constantly try to perceive this personality in our own way. Our perception is unique every time as is the knowledge we obtain thereby. 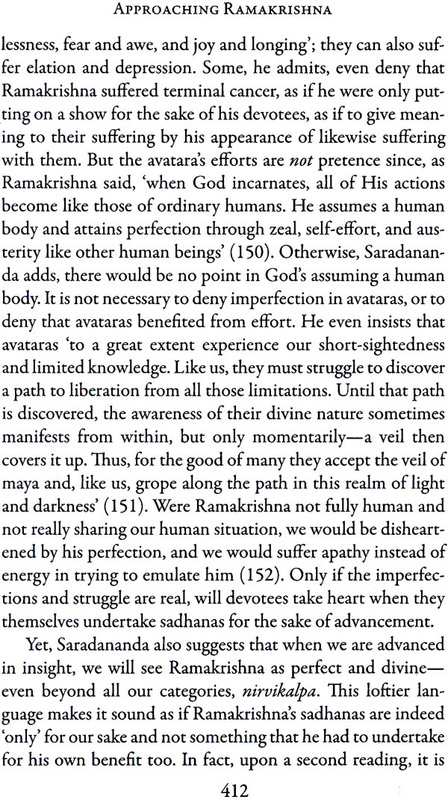 Approaching Ramakrishna becomes our prayer to the supreme reality. We are born a few centuries too early to fully realize what Sri Ramakrishna’s gift to all his children in the world is. But though we do not thoroughly understand the magnitude and significance of his advent, we still are benefited by his life and teachings. This special volume is dedicated to that special ‘pujari’ and its edifying articles written by some of his faithful children, are the various offerings forming a beautiful pattern around him, carrying blessing the world over, for they have touched Sri Ramakrishna. An old Gentleman and tantric adept curious to know what deity was worshipped in a nice looking temple, once entered a Ramakrishna ashrama. As the old man was leaving after paying obeisance to Sri Ramakrishna’s appealing image, he was distractedly muttering to himself, ‘but why are they performing the puja of a pujari of Kali? They could have worshipped Kali! In Vedic times individual and social life was centred round the simple agnihotra fire sacrifice. The sages internalized this yajna, sacrifice, through which different gods interacted with humanity. These internalized conceptions grew higher and higher till they became universal. Scriptures, mythology, metaphysics, history, duties, ethics, and law codes—all grew out and patterned itself around this universal conception. Not only creation emerges from a yajna, the ongoing world process is also a continuous one that will finally merge in the yajna. God is the sacrifice and the sacrificer as well. This twice-daily agnihotra had now tremendous meaning and purpose. The real location of this sacred fire was in the intellect of the man of knowledge. Yajna thus stepped out of the sacrificial altar and spilled into each mental, verbal, and physical karma. Anything performed as yajna was spiritual and had the virtue of connecting a person to the entire universe; anything not done as yajna was useless. Life stood transformed. Just as there is a pattern to a yajna, similarly the whole universe—gross, subtle, and causal—forms a pattern around the’ metaphysical yajna. Puja, worship, evolved around this central theme. 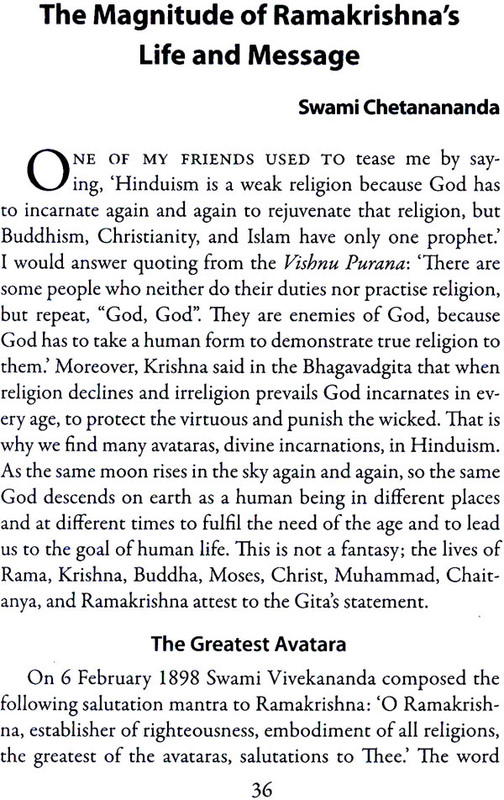 It also harmonized all the diverse vedic, puranic, and tantric traditions. If the universe patterns around worship, then it also patterns around the worshipper. When Sri Ramakrishna, known in Dakshineswar as ‘junior priest’, used to worship, the ambience in the temple was awesome. Other brahmanas ‘seeing his mind quite absorbed and his body shining all over with a resplendent lustre, said to one another, “It is as if Vishnu Himself has assumed a human body and has sat down to worship”’ An enlightened worshipper is a participant in a systematic mind-boggling interaction of cosmic principles. 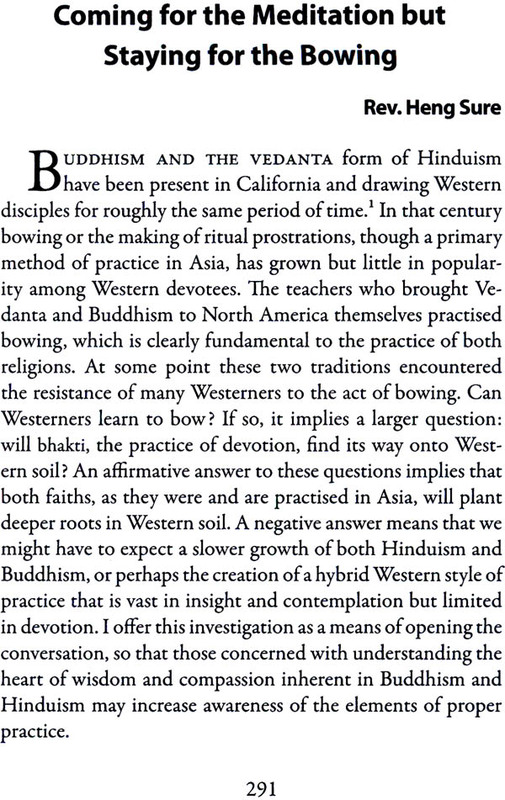 Ordinary puja symbolically enacts this interaction. The essence of all prayer, worship, and meditation is to become identified with the deity. 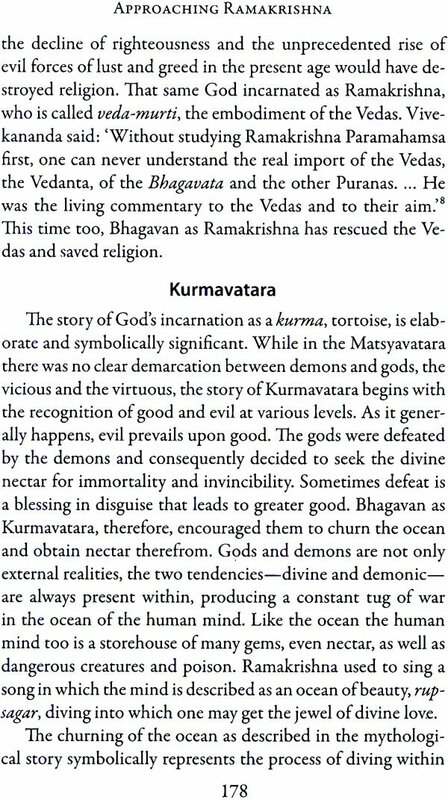 Sri Ramakrishna worshipped Kali, the Divine Mother of the universe. The Chandogya Upanishad teaches about such a worshipper: ‘He who having known this [Reality] thus performs the Agnihotra-sacrifice, in his case the oblation becomes offered in all the worlds, in all creatures, and in all constituents of a person [body, mind, organs, intellect] When an unenlightened person identified with the body-mind complex offers worship, it is like pouring oblations into cold ashes. When Sri Ramakrishna performed worship the whole universe was nourished. The world that has been patterned around a sacrifice and that includes all forms of life, all scriptures mythology, philosophy, and metaphysics becomes energized. Again, the Chandogya Upanishad gives this illustration: ‘As in this world hungry children wait on their mother, so all creatures wait on the Agnihotra-sacrifice The seen and unseen worlds were clamouring due to spiritual hunger. Sri Ramakrishna comes, commences his worship, and through it vitalizes universal life. Through such worship the worshipper rectifies the flaying patterns and also authenticates them all—all paths, struggles, prayers, thoughts, words, and deeds, from the lowest to the highest, become true. That is why Swami Vivekananda said: ‘Salutations to Thee, O Ramakrishna, the Reinstator of Religion, the Embodiment of Religion, the Greatest of all Incarnations At a macrocosmic level, humanity has entered into a newer consciousness after Sri Ramakrishna’s advent. As days pass by this new consciousness is becoming more and more evident. Sri Ramakrishna worshipped the Divine Mother of the universe, the dynamic aspect of Brahman. He became one with the Divine Mother. Sri Sarada Devi used to address him as Kali. Swamiji says: ‘She [Kali] worked up the body of Ramakrishna for Her own ends: Sri Ramakrishna was the Divine Mother and the Divine Mother was Sri Ramakrishna. The dynamic and static aspects of Brahman are like a snake in motion and motionless respectively. The child and the mother are one. 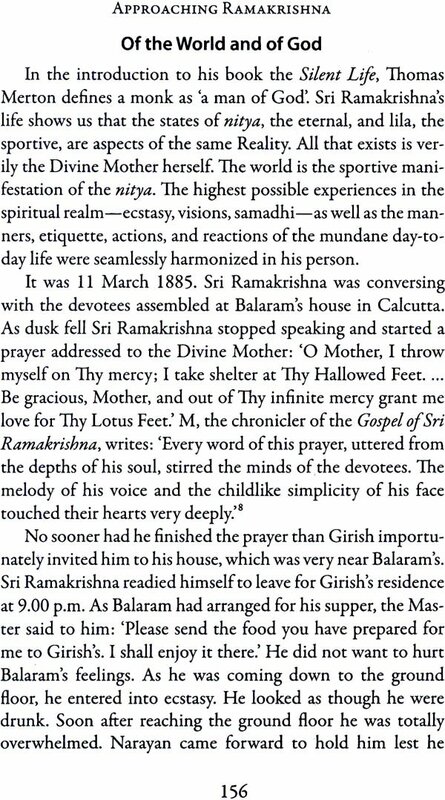 Sri Ramakrishna’s image also has within its hidden dimension the Divine Mother he used to call Brahman. The committee’s argument for a presidential message was that they wanted to celebrate not Brahman’s birthday, which is absurd, but Sri Ramakrishna’s, who came as an avatara. That day is and will be holy for all eternity. Swami Shivananda, popularly known as Mahapurush Maharaj, speaking on Sri Ramakrishna’s birthday celebrations in 1931 said: ‘The Master descended on this day. It makes me speechless to think how blessed the day is. ... The Lord of all the worlds and all the creatures, nay, of infinite creation itself, incarnated on this day. We are born a few centuries too early to fully realize what Sri Ramakrishna’s gift to all his children in the world is. But though we do not thoroughly understand the magnitude and significance of his advent, we still are benefited by his life and teachings. That is because we are discovering, along with that old gentleman the source of all our powers. This special volume is dedicated to that special ‘pujari’, and its edifying articles written by some of his faithful children, are the various offerings forming a beautiful pattern around him, carrying blessings the world over, for they have touched Sri Ramakrishna.